The Memorial Candle Program has been designed to help offset the costs associated with the hosting this Tribute Website in perpetuity. Through the lighting of a memorial candle, your thoughtful gesture will be recorded in the Book of Memories and the proceeds will go directly towards helping ensure that the family and friends of Beverly Gale can continue to memorialize, re-visit, interact with each other and enhance this tribute for future generations. Beverly Jean Gale, Born 11/24/1929, Passed 11/24/2017. Beverly Jean Gale passed away peacefully on November 24, 2017 in Lolo. She was surrounded by her children who lovingly cared for her during her last days. She was born in Denver, Colorado where she met and married Maleroy B. Gale. They moved to Hamilton in 1981 where they joined their children and soon became grandparents. After Maleroy passed in 1984 Beverly enjoyed many years with her family, grandchildren & friends. She touched the lives of many, and anyone who knew her loved & appreciated her wonderful sense of humor & kind heart. 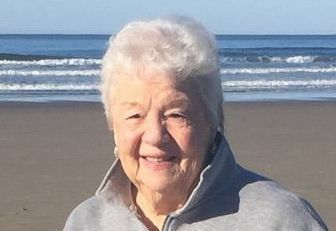 Bev created a family who enjoyed laughter, fun, cooking, traveling & great stories. She was an amazing cook and will go down in history for her famous "Bev's" dill pickles, BBQ sauce, Christmas popcorn balls, peanut brittle & molasses cookies! Bev will be greatly missed by all. She is survived by three children, Nancy (Jim) Schueler of Hamilton, Danny (Sharon) Gale of Republic, Washington and Janice Gale of Lolo and five grandchildren. Rest in peace (Gramie), we love you. You are forever in our hearts. To send flowers to the family of Beverly J Gale, please visit our Heartfelt Sympathies Store.